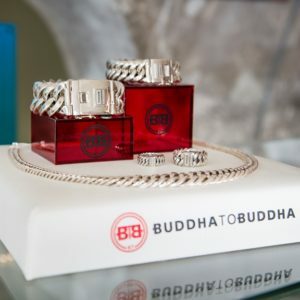 The strong and unique jewelry of BuddhaToBuddha and Blingissimo, combined in our store at the Renaissance Mall & Rif Fort, capture the deeper experience of both contemplation and celebration. The Caribbean has fallen in love with the boldness of our timeless handmade pieces. Pieces that make a statement. Currently, the collection consists of more than a hundred different types of jewelry including bracelets, rings, earrings and necklaces.